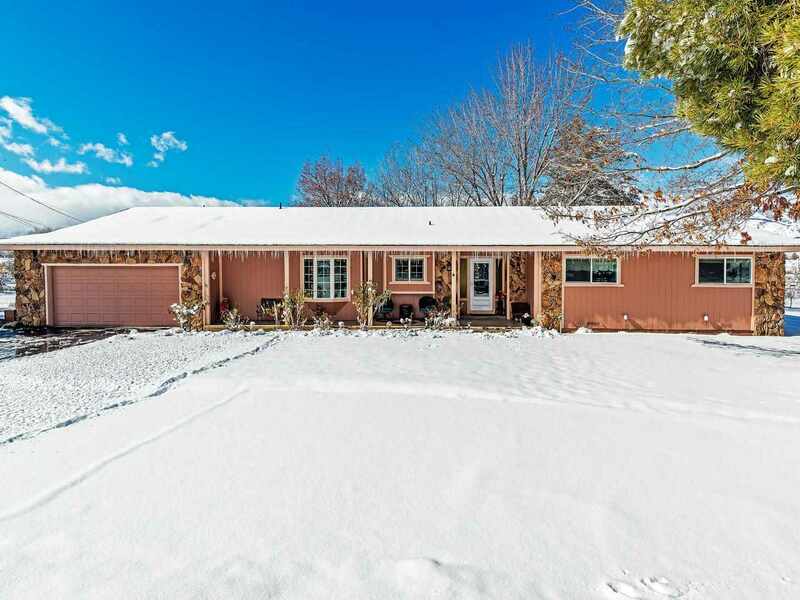 BEAUTIFULLY MAINTAINED, updated/remodeled 3 bed 1 story home on 1 acre located in quiet cul de sac with private well new pump, city sewer, RV parking, 2 car attached w/add. 2 car detached garage/w work shop has power, storage, barn w/tack room, dog run, mtn. views. Inviting living room w/vaulted ceiling, fireplace, formal dining has slider leading to expansive outdoor deck/patio. Large family/game room, sparkling kitchen recently remodeled, newer quartz counters, double ovens, wood floor, SO MUCH MORE!